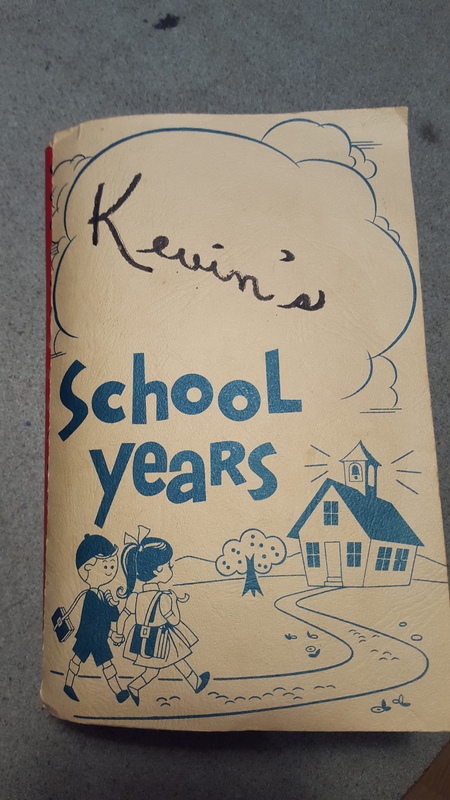 My Mom and Dad are cleaning out the attic where I – Coach Kevin – grew up. 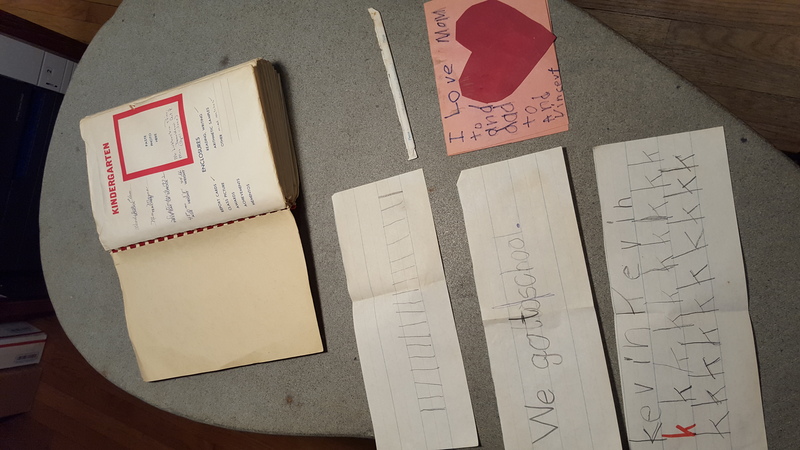 Mom delivers a book of mine where she kept it safe for years and my report card from kindergarten! Talk about a flash back to the past. 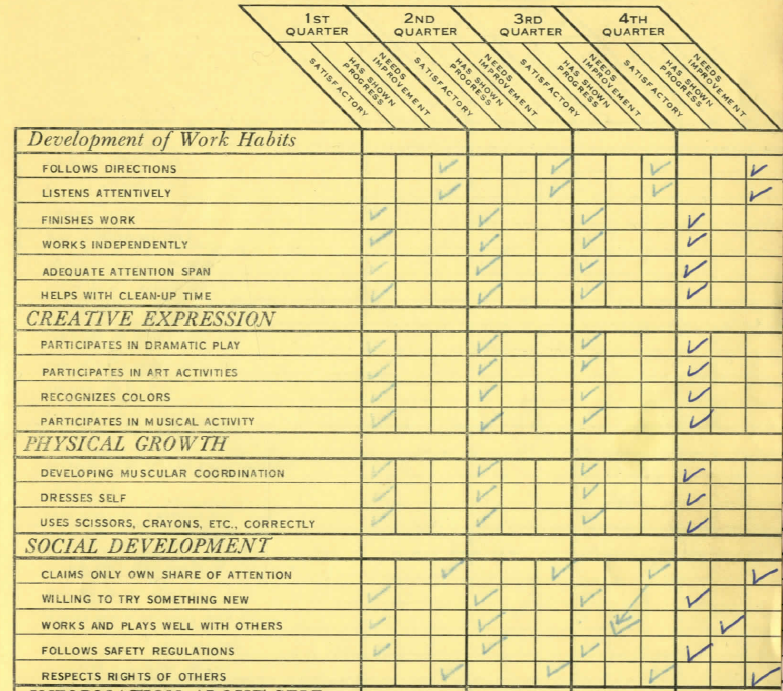 According to my report card, Coach Kevin needs improvement in all 4 quarters and does not follow directions. I also don’t listen attentively and apparently I don’t respect the rights of others either. I am pretty demanding for people’s attention and need to let others have their turn! Now for the good news. 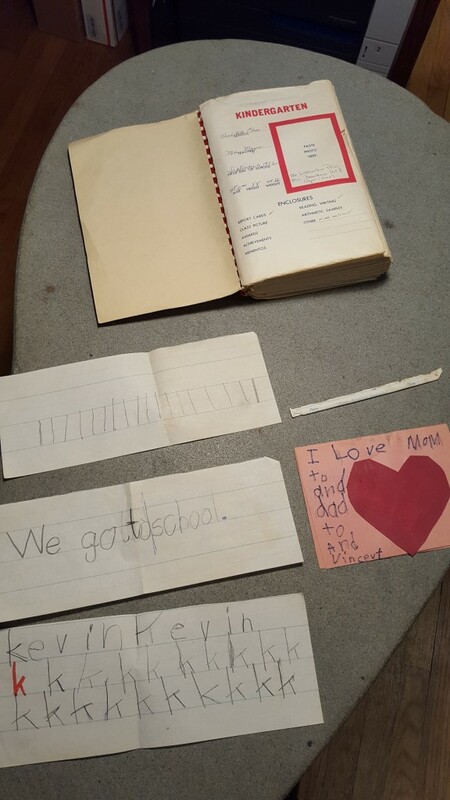 I participated well in all my creative activities like art, music and dramatic play and I was great at helping during clean-up time. I was also always willing to try something new and played well with others! It was definitely a fun visit with my parents – walking down memory lane. 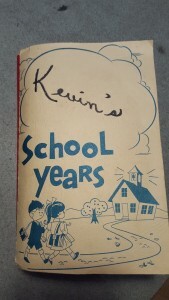 When is the last time you looked through some of your childhood items?